How important is finding the Fastest Web Hosting Company to you? Having a hard time in finding one? It is absolutely amazing the way web hosting has experienced a stunning growth over the years and this also reflects the increasing number of websites. In this post, we are going to share the three fastest web hosting companies with an outstanding record of speed. I'm using FastComet to host my websites since 2015 and honestly I was never looking to move into another hosting company. By using above links you can check out available deals and also read our detailed review on FastComet. SiteGround is certainly a pretty reliable name in web hosting and of course, one of the Fastest Web Hosting company. Also, it is one of those few hosting companies that have the right blend of all the advanced features. Over the years, this Company has exceeded the expectations of its users in every sense. Users can rest assured of a perfect hosting environment for hosting one’s website with SiteGround. Let’s check out the features that make it such a powerful hosting Company. How fast is SiteGround hosting? If this is the question bothering you right at this moment, SiteGround offers a loading speed of around 350ms and also, the speed is pretty consistent. SiteGround offers such a brilliant speed out of using the latest speed technologies such as NGINX, HTTP/2, PHP7 and free CDN. Furthermore, SiteGround hosting is based in SSD Drives and this helps in enhancing the performance as well. I also consider SiteGround as one of the Best WordPress Hosting India users. Uptime is a big factor if you are planning to run a business based website. Although a lot of hosting companies claim to have 99.99% uptime, many of them fail to prove it in real. However, this doesn't hold true for SiteGround. When I checked the last one-year uptime of my demo sites hosted on SiteGround, I was pretty impressed to find it with a consistent uptime of 99.99%. One of the reasons for such a brilliant uptime is certainly the brilliant monitoring and maintenance of the server and hardware by the SiteGround experts. As long as you choose SiteGround hosting, there’s absolutely no reason to worry about the security aspect as SiteGround offers a very tight web security with over 800 of its own Firewall Security Rules. Also, the server and the network is closely monitored 24X7 by the experts. You can never have a brilliant hosting unless you find a hosting company with a brilliant customer support. SiteGround is a perfect instance of this and as a matter of fact, the SiteGround Support team comprises the most proficient and friendly executives to attend to the queries and issues of the users. Also, users can rest assured of the quickest assistance with SiteGround as it not only takes very little time to reach out the support but also, the support team is pretty professional to resolve the various issues of the users in the shortest possible time. If your website is a business-oriented website, installing an SSL certificate is a must for your website and if you are wondering as to why it is so important, SSL reflects that a website is safe for online transactions and that way, you can win the confidence of your visitors and encourage them to transact on your website. On the contrary, with non SSL websites, chances are that you lose a lot of customers and of course, a lot of sales as most of the customers tend to hesitate in making transactions on a non-SSL website. However, SiteGround offers free Let's Encrypt SSL certificate with every hosting plan. A2 Hosting offers Fastest WordPress Hosting thanks to A2 Optimized WordPress installations and turbo servers with railgun optimizer. You don't like slow websites neither do your visitors. If your site is slow, your visitors will just find another site to buy from or get their information . That's why your site will be hosted on their exclusive SwiftServer platform. The bottom line is they are faster than the competition. I suggest Swift plan which comes with unlimited Space, domain, and Bandwidth. all their plan comes with SSD Drives. By Visting the above link, you can learn more about the deal info and don't forget to claim the coupon for discounts. 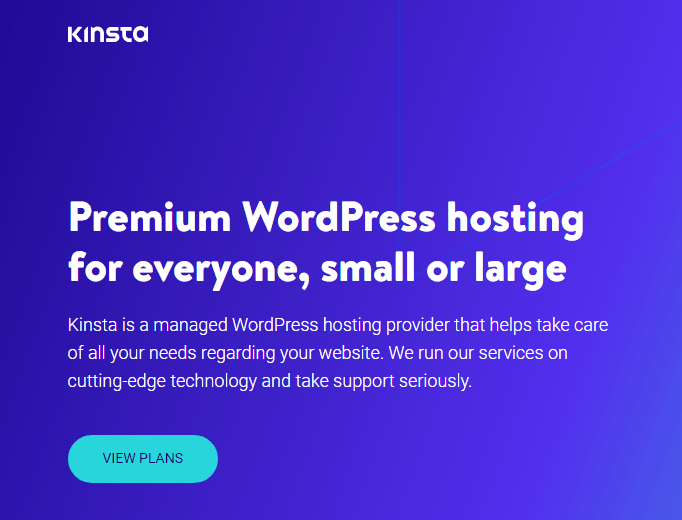 For those of you who are looking for the fastest web hosting Company, Kinsta is another brilliant option to go with. The hosting Company emerged pretty fast. Kinsta is a perfect mix of performance and security. Over the years, there has been a stunning increase in the number of Kinsta users and this clearly indicates it increasing popularity among the people from all over the world. So, without much ado, let’s get to the features of Kinsta and try to comprehend the features that make Kinsta such a powerful hosting Company. Kinsta uses advanced technologies such as Nginx, PHP 7, LXD software containers, and MariaDB to offer an ultra-fast page loading. Also, it offers complete resource isolation, automatic scalability, and high availability that enhance the speed as well. This is one of the chief reasons why a lot of people have been choosing Kinsta over the other hosting companies over the years. Kinsta offers high levels of security to keep your website through constant monitoring, DDoS attack detection, software-based restrictions, SSL support, and hardware firewalls. The security is just so tight that one doesn’t even have to think about the security aspect of one’s website ever again once it is hosted on Kinsta. A Website can never perform up to the mark without a constant uptime. If a website has uptime issues, chances are that it will lose it customers with a huge drop in the sale. This is why one needs to be sure of the uptime of a hosting first and only then buy it. However, with Kinsta, users will hardly have any uptime issue as the uptime is checked every five minutes and every server or hardware issue is resolved in no time by the Kinsta experts. The Kinsta dashboard is one of the most powerful features of Kinsta hosting as it is a wise combination of a whole lot of features to make things incredibly convenient for the users. Using the Kinsta dashboard, users can add a new website, or deploy a new server. Also, it allows users to clone a WordPress site, to migrate a website and most importantly, it allows users to view the website analytics. Kinsta Support is just one of the best customer support of the world. The support team comprises members who are fluent in WordPress and can help users with every technical difficulty in no time. Also, reaching out the support is really easy and also, it doesn’t really take long. The executives are pretty fast and friendly in dealing with the queries and issues of the users. It is always a very wise thing to look for the Fastest Web Hosting for running one’s website. However, one needs to be careful about the other aspects of the hosting as well while buying. I tested a lot of hosting companies in a couple of months and finally, found FastComet, SiteGround, and Kinsta to be highly dependable in all aspects of hosting. Hi Mohan, Thanks for the list, so far i am using 000webhost. i think it was top among 3 on globally. but you haven’t added that on your list. you had missed the Big rock, go daddy, hosting 24.
may i know about the reason for choosing the following list as Top 10. Thanks for your comment John. 000webhost is free hosting and they can limit resources at any time and If you’re serious about your online business then go for some good hosting. While writing this text, godaddy is not good as you think and most of my clients asked me not to suggest it further.Big rock is good for domian purchase and hosting 24 is never something i never heard off. Will look into it. Few of the listed hosting providers are really good. Currently I’m hosting my websites at rosehosting and they are awesome. I would suggest you to add them on the list. Me too faced some problems but stablehost team did some tricks and now I’m okay with it. Contact me via contact form and I will guide you to rectify your problems because your purchased stablehost under my recommendation and I’m happy to help you. Mohan i haven’t heard anything from you till now. Did my mail reach you? Hi Mohan, the list is really good but, i think inmotion hosting should be in the list and GoDaddy too have improved their services. I’m always a fan of bluehost…I’m vary happy with their service and support. Yes. But outages sometime hurts. After reading this article, I was enlightened that web hosting is utmost unto your firm if you are planning on putting it online. Thank you for the enlightenment! By the way, what might be the best web hosting provider? If you are looking for a good web host and you have no idea about web hosting, I suggest you don’t find it using a search engine. Type in ‘cheap web host’ or ‘good web hosting’ into Google and see how many hits you’ll get. Nowadays, there’s an abundance of web hosts giving out supposedly cheap deals and promotions. I like your post. I will share your blog to my friend. I have been hearing more and more about Siteground being a great host. They seem to be making a lot of noise in this industry these days. thanks for sharing your thoughts. Very informative blog!The highlighted points in the blog are useful for the beginners who want to set up their web hosting. Also, you can easily host a website created in WordPress just by referring the points mentioned in the blog.